Most biographies of Marilyn Monroe quickly skim over her childhood. I plan to correct that here and also to correct many gross misrepresentations, citing what documentation we can actually find. And point the way for more documentation that may fill in missing gaps. This Knol is under construction. I am going to use, but not rely upon the biography "My Sister Marilyn", by Berniece Baker Miracle (Marilyn's half-sister) and Mona Rae Miracle (Marilyn's half-niece), published in 1994. This will be supplemented slightly by "Goddess: The Secret Lives of Marilyn Monroe", by Anthony Summers. And then copious additional primary sources as you will see. Gladys and Martin were apparently separated by the time of Norma's birth, as on the birth certificate, Gladys' address is listed while Martin's is written as "Unknown". 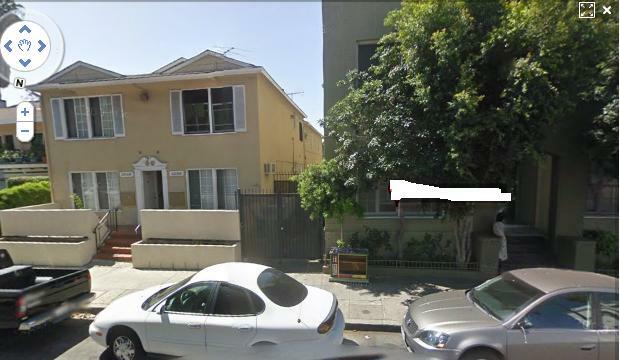 With an odd name like Martin Mortensen, we can be sure that this is him on the 1930 Census of Los Angeles County, California showing living at 45 Horizon Avenue, Los Angeles: "Martin E Mortensen, 33, divorced, b CA/Norway/MO, Meterman for Gas Company; Catherine Fronk, mother, 58, born Missouri/Ireland/Ireland, no occupation". For some reason Martin moved quite often. In the 1930 Voter's Registration he is living at 1138 1/2 N McCadden Place, in 1928 he was at 1029 8th Place, in 1926 he was at 3004 South Hoover and in 1924 he was living at 1157 W 8th Street. Martin also has a World War I Draft Registration Card here stating: "Edward M Mortensen, age 21, residence 1231 West 7th, L.A.; born 26 Feb 1897; born in Vallejo, California; Gas Fitter for L.A. Gas & Elect. ; Father born in Norway; Mother Stella Mortensen of 1231 West 7th; Medium height; Medium Weight; Light Blue eyes; Light Hair; no disabilities; registered 5 Jun 1918"
The very useful thing about the World War I Draft Registration Card database is that it gives birthdates. We can then cross-reference these to find death dates such as California Death Index showing "Martin Edward Mortensen, born Feb 26, 1897, died Feb 10, 1981, Riverside County, California. Mother's maiden name Higgins". Which is a perfect match. Other sources have stated in the past the Marilyn's legal father was born in Norway, he wasn't. That he might be that one who died in a auto accident in 1929, he wasn't. And so on. A hard attention to sources helps to solve these nagging details as I've shown above. Martin can be traced forward in the Voter Registrations to 1944, always living in L.A. and always moving at least every two years, and then I'm not sure where he was until his death in 1981. In that 1944 Voter Registration, a woman shows up living with him and named "Mrs Madeleine E Mortensen", who would apparently be a new wife. Going backward, we find in the 1910 census that Martin's father is already dead, his mother called herself "Katie KELLER" (Katie being a well-known familiar form of Catherine), so apparently remarried but no husband is listed here. Then in 1900 Martin's father was also named Martin Mortenson, age 39, born in Norway. I haven't tried to trace any further back at this time. Berniece Baker would marry Paris Miracle in 1938, and have a daughter Mona. Berniece Baker Miracle, Marilyn's half-sister and Mona Rae Miracle, Marilyn's half-niece, wrote a book published in 1994, called "My Sister Marilyn", where they give some details of Marilyn's childhood and also of Berniece's. Mona states that the son (her uncle) was actually named Kermit. According to her later book, they called him "Jackie". Sometime, probably shortly after this census, Jasper and Gladys went to Kentucky for a visit where Mona relates an incident related to a supposedly too-close relationship with Jasper's younger brother Audrey, for which Jasper beats Gladys. When they returned to California, she filed for divorce on 20 Jul 1921 in California, possibly in Los Angeles. Her divorce was granted May 1922; Gladys being granted custody of the two children. However, on what was supposed to be a weekend outing, Jasper picked up the two children and made off for Kentucky where he lived with his mother for a time. Kermit was put into a hospital to try to fix a lame leg and had to stay there for a while. Gladys went to Kentucky to get the children, but decided to stay and got a job there in Kentucky, while she waited for Kermit to get better. However that did not work out, and she returned again to California, leaving the children with Jasper who shortly remarried. Jasper had no further children. The son Hermit or Kermit, died as a teenager and because of that, would never see his mother again. However many years later, Berniece did see Gladys again, as we'll see later in this article. Berniece was four years old the last time she saw her mother in 1923 in Kentucky. Many sources will state that Marilyn was born in the Charity Ward at Los Angeles County Hospital. As we can see above, from my transcription of her birth certificate, the hospital was called General Hospital. The birth certificate does not state that this was the Charity Ward. But it's possible of course that General Hospital later changed it's name. A few more points of interest here. We are given the ages of Gladys and Edward, evidently as Gladys must have stated to the physician. We are apparently informed that they are separated, since Gladys' address is given, but Edward's is listed as unknown. Edward is stated to be a baker (occupation), we'll see shortly that this is an odd response. We are told curiously that Gladys apparently thinks her other two previous children are dead. 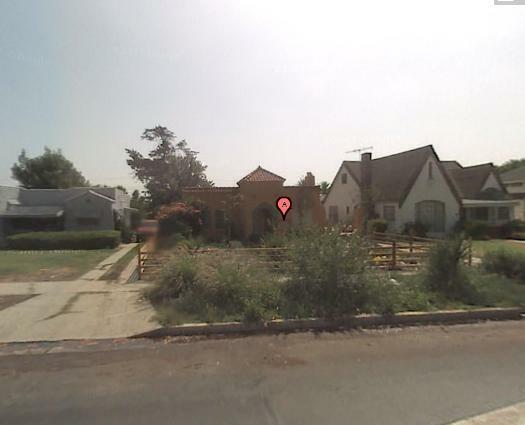 Gladys was in 1928 living at 6228 De LongPre Avenue as she states as her Voter's Registration that year, where she registers as "Mrs Gladys Baker, cutter, Democrat". The Bolanders, who we see in 1930 living at 459 Rhode Island Avenue, were there the 1926 Voting Register as well. Neither in 1926, not in 1930 do I find anyone else listed at that address. However in 1934, living at the same address 459 Rhode Island Avenue "Mrs Gladys P Baker, republican"
Gladys and Norma boarded with the Bolenders for some time evidently, until Gladys had saved up enough money for a down payment on a house. Just shortly after moving in, she had a psychotic episode and was committed to Agnews State Hospital. Some sources claims that this would apparently have been when Marilyn was about six (see below), so 1932 or so, however it seems likely to have been as late as 1934. Grace was named as guardian of Marilyn and custodian of Gladys' estate. I'm not exactly sure when Grace and Ervin Goddard married but they were married by 1936. In 1920 Ervin Goddard was living in Austin Texas. The Los Angeles City, 1936 Voter's Registration Cards show : "Ervin S Goddard, 3107 Barbara Ct, actor, Democrat; Mrs Grace Goddard, 3107 Barbara Ct, film librarian, Democrat". However in 1938 and also in 1940, Grace and Ervin are living apart. Ervin's occupation changes from "actor" to "director", but it's not until 1950 that Grace reappears living with him. They are again listed together in 1952, and now Gladys, having married and apparently divorced a Mr Eley (otherwise unknown to me) is living with them as well. Anthony Summers ("Goddess", p 98) reports that Grace committed suicide Sep 1953 with an overdose of barbituates. And we find her here in the California Death Index : "Grace Goddard, born 1 Jan 1894 Montana, died 28 Sep 1953 Los Angeles County, father's name Atchinson, mother's name Willette". In the 1954 listing, Gladys, is still living with Ervin "Doc" Goddard. As far as I know, I am the sole person to discover the details of Glady's life outside the asylum. Gladys was eventually moved to Florida where she died, Social Security Death Index showing "Gladys Eley, last residence Gainesville, Alachua, Florida, Born: 27 May 1900, Died: Mar 1984, SSN issued by Oregon (Before 1951)". We still don't know which Mr Eley she married. Her Florida death certificate might state that. When Marilyn was twelve, a letter arrived in Kentucky for Berniece from her mother Gladys. ("My Sister Marilyn"). Gladys explains that she has been in a mental institution, Agnes State Hospital, for six years and wanted to get out. She also told Berniece that she had a 12-year-old half-sister, then living with Grace and her new husband "Doc" Goddard. The two sisters now began to write to one another. After some time, and although Marilyn and Berniece had been writing to each other for some time, they had never met. Marilyn first met her half-sister Berniece at a train station in Detroit ("My Sister Marilyn", Chapter 1). Berniece says "...growing up I didn't even know if my mother was still alive. And I didn't find out about Marilyn until she was twelve and I was nineteen." Grace and Doc took a trip through Kentucky, on their way to West Virginia in 1939. They missed meeting Berniece, but apparently had been planning on the possibility of Marilyn's coming to stay with her half-sister. Berniece says that "Grace must have been dismayed at our situation....Whatever plan she might have been entertaining...I'm sure she abandoned." I've wondered about Grace and Doc being registered at different addresses, and I've seen the reports that Marilyn was molested as a child. Also Shelley Winters reporting, in Shelley's autobiography, that Marilyn told her about the orphanage "that's the place my foster parents would send me when they decided they didn't want me anymore." This report from Berniece is additional evidence that quite possibly, the confusion surrounding Marilyn's childhood has a lot more to do with Grace and Doc than anyone has yet seen. Perhaps Grace and Doc had an on-again-off-again marriage, and Marilyn's comings and goings had to do with that turmoil. Much later, Grace and Doc were planning a permanent move to Kentucky and encouraged Marilyn and her sometime-date Jim Dougherty to get married. The wedding took place on 19 Jun 1942 in the home of Chester Howell a friend of the Goddards. Berniece mentions that Jim wrote a book called "The Secret Happiness of Marilyn Monroe". Marilyn and Jim were apparently happy together for a while. Jim enrolled in the Merchant Marine and was stationed on Catalina Island where they lived. During World War II, Jim was shipped overseas and Marilyn moved-in briefly with his mother Ethel Dougherty. Before Ervin "Doc" Goddard and Grace had moved to West Virginia, Ervin had gotten Ethel a job where he worked at Radio Plane, and now Marilyn started working there as well. A chance encounter with a photographer who was looking for pretty girls as calendar/pin-up material got her eventually noticed by Blue Book which started sending her on calls. Her Radio Plane work neglected and friction with her mother-in-law caused Marilyn to now move back in with Grace's aunt Ana Lower who was more understanding of this career move. When Jimmy came back, he wanted his homemaker back, and Marilyn didn't want that role anymore and so they divorced. Much later Jimmy worked for the police department, he moved to Maine and back again, and he wrote one more book about Marilyn before his recent death. Blake recently defeated for political election, blames a local businessman. When he returns to his home town, he takes over the newspaper and launches a campaign against big business.